The Intuit Financial Freedom Foundation is dedicated to programs and projects that promote financial literacy and independence among lower income individuals, families, entrepreneurs and small businesses. We donate Intuit software and resources to empower people, and the organizations that serve them, so they can achieve better money outcomes. 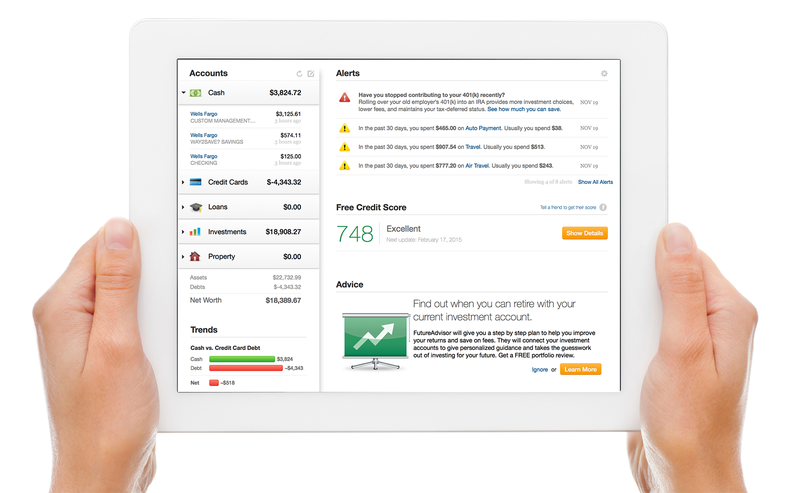 For 30 years, Intuit has been guided by a simple mission: to improve the financial lives of our customers. And while you may not immediately recognize our company’s name, you’ll find millions of homes and businesses using our products — TurboTax, QuickBooks and Mint, to name a few. IFFF donates these products to the low-income and underserved, and the nonprofits that serve them, to help simplify their lives and solve their financial challenges. Help your clients prepare and file their tax returns on their own for free with TurboTax® Freedom Edition (TTFE), the product Intuit donates through the IRS Free File Alliance and 20 state alliances. Help your entrepreneurial clients manage their finances with donated Intuit software and free online resources for starting and growing their businesses. 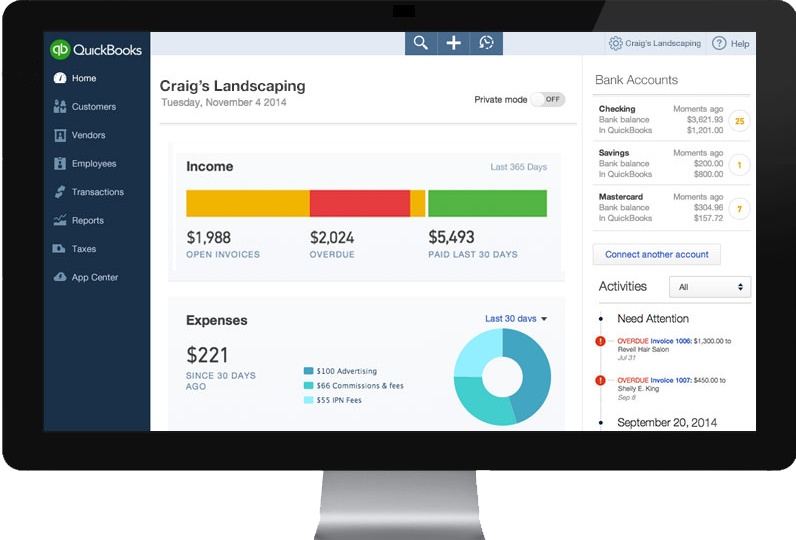 Help clients budget and manage their money with Intuit's personal finance software. Empower them to determine eligibility for EITC and other credits with our free online benefit calculators. Help to manage your nonprofit more efficiently. See if your nonprofit or B corporation is eligible to receive QuickBooks accounting software and other products for at little or no cost. Why does Intuit offer the Intuit Tax Freedom Project? Intuit is committed to give back to the community by sharing a measure of our business success through philanthropic and public service initiatives. The Intuit Tax Freedom Project is a national corporate initiative dedicated to sharing Intuit’s particular expertise and product innovations in online tax preparation and electronic filing with those in our society who are economically disadvantaged or underserved. What IRS forms and schedules does Turbo Tax Freedom Edition support? TurboTax Freedom Edition supports tax forms 1040EZ, 1040A and 1040. Go to www.taxfreedom.com to see the complete list of accompanying schedules supported by TurboTax Freedom Edition. What software do eligible taxpayers use? No software is needed. TurboTax Freedom Edition is provided as an online service. Taxpayers will need a computer and an Internet connection to access TurboTax Freedom Edition at www.taxfreedom.com. Is TurboTax Freedom Edition safe and secure? TurboTax Freedom Edition uses advanced security technologies to ensure that taxpayers’ information is kept safe and private. As taxpayers answer questions, their data is stored securely on Intuit servers, where the program performs all the necessary calculations and determines which tax forms need to be filed. For more information, see our Privacy Statement. Do taxpayers need to check the status of their e-filed return? Yes, taxpayers must check to see if the return has been accepted by the tax authorities. It takes about two days for federal returns to be accepted; up to five days for state returns. They can check to see if their return has been accepted by logging back into TurboTax Freedom Edition at www.taxfreedom.com. Once the return is accepted, the tax authorities assign a confirmation number (called a Declaration Control Number, or DCN). The taxpayer completes the e-filing process by mailing the required signature forms, and payment vouchers within one business day after the return is accepted. The TurboTax Freedom Edition interview process helps the taxpayer print the electronic filing paperwork, including forms, payment vouchers, mailing instructions, the Electronic Filing Checklist, and any other required forms and instructions. What software titles can I get? Select QuickBooks software products are made available for free or at a deeply discounted price to qualified organizations through various donation channels. What if I want a product title that isn’t listed for donation? Intuit is committed to helping organizations serve their clients by providing a wide range of software products. The products we have selected to offer are those that have been identified as best suited to the needs of organizations. How do I choose which software product is right for my clients? If you need to, you can obtain further details about product features and functionality directly from the product’s website quickbooks.com. The QuickBooks Learning Guide is for instructors to introduce students to QuickBooks. The guide contains 15 lessons with step-by-step instructions and illustrations that make it easy to learn to use QuickBooks. Each lesson includes a list of student objectives, handout materials, and review activities. This publication is available for download at no charge within the Instructor’s Resource Center (which you can access after you acquire a Site License). For additional support, you can access built-in help features and product manuals within QuickBooks. You can also visit the QuickBooks community forums, for further help. For questions about the product, contact the tech support team listed in the product documentation or visit product website for further tech support options. For questions about the availability of products TechSoup carries, please contact TechSoup. For all other matters, we welcome questions and feedback about your experiences with the Intuit Product Donation Program. Email us at intuitempowers@intuit.com with your questions or comments. We review every e-mail message that comes in, and we’ll take action when required. Due to the heavy volume of e-mail messages we receive, we will do our best to respond in a timely manner; please allow ample time if you require a response. We work to protect your personal information from loss, misuse, or unauthorized alteration by using industry-recognized security safeguards such as firewalls, coupled with carefully developed security procedures to protect your information from loss, misuse, or unauthorized alteration. Our employees are trained and required to safeguard your information. Additionally, we use internal and external resources to review the adequacy of our security procedures. When we ask you for information, we will tell you, or it will be clear, what we need to know to fulfill your request and how the information you provide us will be used. For example, if you order a product or register for a service from us, we will ask you for your name and contact information such as, mailing address, phone number, and e-mail address. In addition to responding to your request, we may use your contact information to tell you about products or services we think might interest you or to invite you to participate in a product or service-related survey. Because of the financial nature of our business, our Web sites are not designed to appeal to children under the age of 13. We do not knowingly request or receive any information from children. We do not share your personal information with anyone outside of Intuit for their promotional, including marketing, use. We have limited relationships with third parties to assist us in servicing you, for example, by notifying you when services become available or conducting surveys. These service providers are contractually required to maintain the confidentiality of the information we provide them. The contracts outline the appropriate use and handling of your information and prohibit third parties from using any of your personal information for purposes unrelated to the product or service for which they’ve been contracted. Vendors are required to maintain the confidentiality of the information we provide to them. We may disclose or report personal information in limited circumstances where we believe in good faith that disclosure is required under the law. For example, we may be required to disclose personal information to cooperate with regulators or law enforcement authorities, to comply with a legal process such as a court order, subpoena, search warrant, or a law enforcement request. We may use your contact information to tell you about other products we think might interest you. However, if you don’t want us to contact you for promotional purposes, you can tell us when you provide the information. Your contact preferences only apply to marketing contact. We may need to communicate with you regarding the usability of your product or critical messages relating to your service or software or legally mandated notices relating to your service. You can update or correct your contact information you supplied us by contacting us at taxfreedom@intuit.com or (858) 215-7742. We use a variety of technologies on our Web site. Among these are cookies, which are pieces of information that our Web sites provide to your browser. Cookies allow us to track overall site usage and determine areas users prefer. Cookies also allow us to customize your visit to our Web site by recognizing you when you return. You can choose to decline cookies while at our Web site, however, this may limit your ability to access certain areas of the Web site. Most browsers accept and maintain cookies by default. Check the “Help” menu of your browser to learn how to change your cookie preference. When we track activity on this or other Intuit Web sites, we collect information such as your IP address, browser type and version, and pages you view. We also keep track of how you get to our sites and any links you click on to leave our sites. We do not track non-Intuit URLs that you type into your browser, nor do we track you across the Internet once you leave our sites. We use your Web site activity to assist you by reducing the need to re-enter your data and to help us resolve technical support issues. We may also use this information to offer you a personalized Web experience, and to tailor our offerings to you. Remember, you control whether you receive Intuit promotional materials. We may access and set cookies using Web beacons, also known as single-pixel GIFs which are invisible graphical images. These Web beacons tell us useful information regarding our site such as which pages users access. When we send you e-mails, we may include a single-pixel GIF to determine the number of people who open our e-mails. When you click on a link in an e-mail, we record this individual response to allow us to customize our offerings to you. Discussion forums enable forum members to communicate with other members. To participate in the forum, we require that you register with a valid e-mail address. We may use your e-mail address in the event we need to contact you regarding your postings or to inquire about your Forum experience. We recommend that care be taken in posting personal information on this message board, as any information you provide is accessible by other users. If we make material changes to any of our privacy policies or practices regarding personal information we will update our statement and post notice on our site 10 days before they take effect. Be sure to read the Terms of Service below, as they cover the terms and conditions that apply to your use of this website (the “Website,” or “Site”). Intuit may change the Terms of Service from time to time. By continuing to use the Site following such modifications, you agree to be bound by such modifications to the Terms of Service. General Terms and Conditions. In consideration of use of the Site, you agree to: (a) provide true, accurate, current and complete information about yourself as prompted by the registration page and (b) to maintain and update this information to keep it true, accurate, current and complete. If any information provided by you is untrue, inaccurate, not current or incomplete, Intuit has the right to terminate your account and refuse any and all current or future use of the Site. You agree not to resell or transfer the Site or use of or access to the Site. By using the www.intuitempowers.com web site, including any applets, software, and content contained therein, you agree that use of the Site is entirely at your own risk. THE SITE IS PROVIDED “AS IS,” WITHOUT WARRANTY OF ANY KIND, EITHER EXPRESS OR IMPLIED, INCLUDING WITHOUT LIMITATION, ANY WARRANTY FOR INFORMATION, DATA, SERVICES, UNINTERRUPTED ACCESS, OR PRODUCTS PROVIDED THROUGH OR IN CONNECTION WITH THE SITE. SPECIFICALLY, INTUIT DISCLAIMS ANY AND ALL WARRANTIES, INCLUDING, BUT NOT LIMITED TO: (1) ANY WARRANTIES CONCERNING THE AVAILABILITY, ACCURACY, USEFULNESS, OR CONTENT OF INFORMATION, PRODUCTS OR SERVICES AND (2) ANY WARRANTIES OF TITLE, WARRANTY OF NON-INFRINGEMENT, WARRANTIES OF MERCHANTABILITY OR FITNESS FOR A PARTICULAR PURPOSE. THIS DISCLAIMER OF LIABILITY APPLIES TO ANY DAMAGES OR INJURY CAUSED BY ANY FAILURE OF PERFORMANCE, ERROR, OMISSION, INTERRUPTION, DELETION, DEFECT, DELAY IN OPERATION OR TRANSMISSION, COMPUTER VIRUS, COMMUNICATION LINE FAILURE, THEFT OR DESTRUCTION OR UNAUTHORIZED ACCESS TO, ALTERATION OF, OR USE OF RECORD, WHETHER FOR BREACH OF CONTRACT, TORTUOUS BEHAVIOR, NEGLIGENCE, OR UNDER ANY OTHER CAUSE OF ACTION. NEITHER INTUIT NOR ANY OF ITS EMPLOYEES, AGENTS, SUCCESSORS, ASSIGNS, AFFILIATES, WEBSITE CO-BRANDING PROVIDERS OR CONTENT OR SERVICE PROVIDERS SHALL BE LIABLE TO YOU OR OTHER THIRD PARTY FOR ANY DIRECT, INDIRECT, INCIDENTAL, SPECIAL OR CONSEQUENTIAL DAMAGES ARISING OUT OF USE OF SERVICE OR INABILITY TO GAIN ACCESS TO OR USE THE SERVICE OR OUT OF ANY BREACH OF ANY WARRANTY. BECAUSE SOME STATES DO NOT ALLOW THE EXCLUSION OR LIMITATION OF LIABILITY FOR CONSEQUENTIAL OR INCIDENTAL DAMAGES, THE ABOVE LIMITATION MAY NOT APPLY TO YOU. IN SUCH STATES, THE RESPECTIVE LIABILITY OF INTUIT, ITS EMPLOYEES, AGENTS, SUCCESSORS, ASSIGNS, AFFILIATES, WEBSITE CO-BRANDING PROVIDERS AND CONTENT OR SERVICE PROVIDERS RESPECTIVE LIABILITY IS LIMITED TO THE GREATEST EXTENT PERMITTED BY SUCH STATE LAW. Intuit is the owner and/or authorized user of any trademark, registered trademark and/or service mark appearing at this Web Site, and is the copyright owner or licensee of the content and/or information on this Website including but not limited to any screens appearing at the Site. You may not download and/or save a copy of any of the screens except as otherwise provided in these Terms of Service, for any purpose. However, you may print a copy of the information on this Site for your personal use or records. If you make other use of this Site, except as otherwise provided above, you may violate copyright and other laws of the United States, other countries, as well as applicable state laws and may be subject to penalties. Intuit does not grant any license or other authorization to any user of its trademarks, registered trademarks, service marks, or other copyrightable material or other intellectual property, by placing them on this Website. Intuit reserves the right to change any information on this Website including but not limited to revising and/or deleting features or other information without prior notice. Clicking on certain links within this Website might take you to other web sites for which Intuit assumes no responsibility of any kind for the content, availability or otherwise. (See “Links from and to this Website” below.) The content presented at this Site may vary depending upon your browser limitations. Intuit has no obligation to monitor the Site. However, you acknowledge and agree that Intuit has the right to monitor the Site electronically from time to time and to disclose any information as necessary or appropriate to satisfy any law, regulation or other governmental request, to operate the Site properly, or to protect itself or its customers. Intuit will not intentionally monitor or disclose any private electronic-mail message unless required by law. Intuit reserves the right to refuse to post or to remove any information or materials, in whole or in part, that, in its sole discretion, are unacceptable, undesirable, inappropriate or in violation of these Terms of Service. Unless otherwise indicated for a particular communication, any communications or material of any kind that you e-mail, post or otherwise transmit through this Website, including data, questions, comments or suggestions (“your Communications”) will be treated as non-confidential and nonproprietary. In addition, Intuit is free to use any ideas, concepts, know-how or techniques contained in your Communications for any purpose including, but not limited to, developing and marketing products using such information without compensation to you. Failure to Comply With Terms and Conditions and Termination. You acknowledge and agree that Intuit may terminate your password or account or deny you access to all or part of the Site without prior notice if you engage in any conduct or activities that Intuit in its sole discretion believes violate any of the terms and conditions, violate the rights of Intuit, or is otherwise inappropriate for continued access. You acknowledge and agree that Intuit may in its sole discretion deny you access through Intuit to any materials stored on the Internet, or to access third party services, merchandise or information on the Internet through Intuit, and Intuit shall have no responsibility to notify any third-party providers of services, merchandise or information nor any responsibility for any consequences resulting from lack of notification. You agree to defend, indemnify and hold Intuit and its affiliates harmless from any and all claims, liabilities, costs and expenses, including reasonable attorneys’ fees, arising in any way from your use of the Site or the placement or transmission of any message, information, software or other materials through the Site by you or users of your account or related to any violation of these Terms of Service by you or users of your account. Links from and to this Website. You acknowledge and agree that Intuit and any of its website co-branding providers have no responsibility for the accuracy or availability of information provided by linked sites. Links to external web sites do not constitute an endorsement by Intuit or its website co-branding providers of the sponsors of such sites or the content, products, advertising or other materials presented on such sites. Information in the many web pages that are linked to Intuit’s Website comes from a variety of sources. Some of this information comes from official Intuit licensees, but much of it comes from unofficial or unaffiliated organizations and individuals, both internal and external to Intuit. Intuit does not author, edit, or monitor these unofficial pages or links. You acknowledge and agree that Intuit and its Website Co-branding Providers shall not be responsible or liable, directly or indirectly, for any damage or loss caused or alleged to be caused by or in connection with use of or reliance on any such content, goods or services available on such external sites or resources. Other Information. Intuit is taking reasonable and appropriate measures, including encryption, to ensure that your personal information is disclosed only to those specified by you. However, the Internet is an open system and we cannot and do not guarantee that the personal information you have entered will not be intercepted by others and decrypted. If you wish to make purchases through the Site, you may be asked by the merchant or information or service provider from whom you are making the purchase to supply certain information, including credit card or other payment mechanism information. You agree not to hold Intuit liable for any loss or damage of any sort incurred as a result of any such dealings with any merchant or information or service provider through the Site. You agree that all information you provide any merchant or information or service provider through the Site for purposes of making purchases will be accurate, complete and current. The merchants and information and service providers offering merchandise, information and services through the Site set their own prices and may change prices or institute new prices at any time. You agree to pay all charges incurred by users of your account and credit card or other payment mechanism at the prices in effect when such charges are incurred. You also will be responsible for paying any applicable taxes relating to purchases through the Site. Miscellaneous. The Terms of Service and the relationship between you and Intuit shall be governed by the laws of the State of California without regard to its conflict of law provisions. You and Intuit agree to submit to the personal and exclusive jurisdiction of the courts located within the state of California. The failure of Intuit to exercise or enforce any right or provision of the Terms of Service shall not constitute a waiver of such right or provision. If any provision of the Terms of Service is found by a court of competent jurisdiction to be invalid, the parties nevertheless agree that the court should endeavor to give effect to the parties’ intentions as reflected in the provision, and the other provisions of the Terms of Service remain in full force and effect. We're proud to offer Turbo Tax Freedom Edition to hard-working Americans and their families who meet the 2016 IRS Free File eligibility requirements. You served as active duty military (including Reservists and National Guard) with a maximum 2016 AGI of $64,000 (you'll also need a military-issued W-2). Turbo Tax Freedom Edition is available online at https://turbotax.intuit.com/taxfreedom/. Please note that the Freedom Edition website is not connected to the TurboTax.com website. Also — don't confuse Freedom Edition with Federal Free Edition at TurboTax.com. These similarly-named products are completely different. Run your business starting at less then $10 a month. See all your balances and transactions together. Mint automatically pulls all your financial information into one place, so you can finally get the entire picture.